Kyambogo university student who was barred from sitting final examination has notified the university of his intention to sue the institution for failure to fulfil their obligations. Oloya Aaron registration number 15/U/10215/PD, a student offering Procurement and Logistics management was on the 17th day of April 2018 barred from sitting his final examination on grounds that he had not produced an examination card. 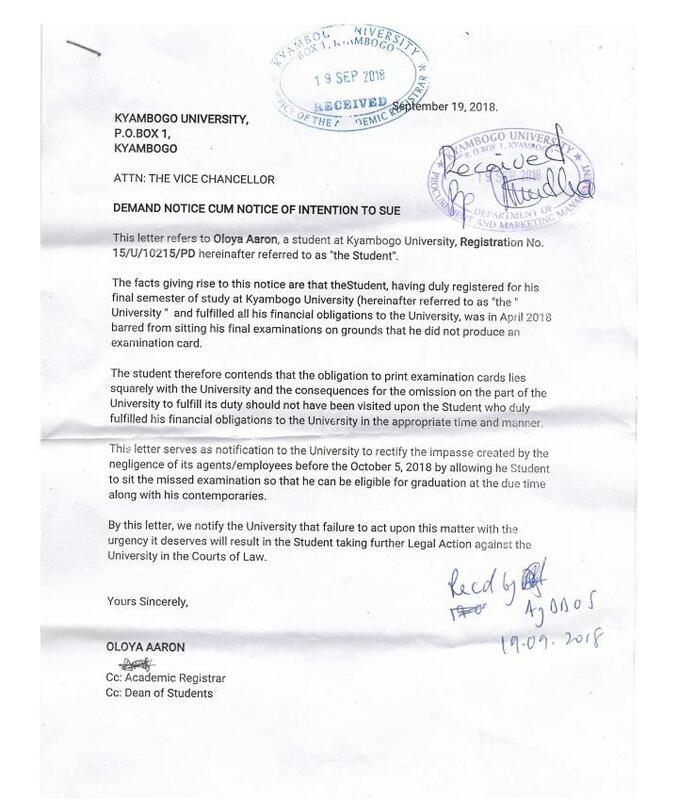 In the letter dated September 19th 2018 and addressed to the University Vice-Chancellor , Oloya stated that the facts rising to his notice to sue the university are that having duly registered for his final semester of study at Kyambogo University and having fulfilled his financial obligations he was barred from sitting the E-Procurement paper because he had no examination card. Oloya continued to point out that the obligation to print examination cards lies solely with the university and that the consequences for the failure of the university to fulfil its obligation shouldn’t have been imposed on the student who had fully fulfilled his financial obligations in the appropriate manner and time. 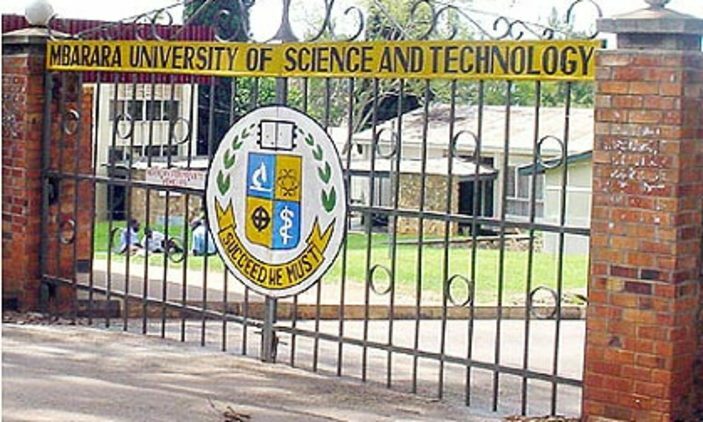 In the letter received and stamped by the Academic Registrar and Dean of students, Oloya has notified the university to rectify the mishap before the 5th of 2018 by allowing him to sit the missed examination so as to be eligible for graduation at the due time along with his contemporaries or else further legal action against the university.